The Florida Legislature is halfway through the 2019 Legislative Session. They are busy passing new laws that will directly impact children, teachers and public schools. It is more important than ever to make sure that our elected officials know what we want for our children, teachers and public schools. Read the update below and visit the Advocacy Dashboard to take action for kids. 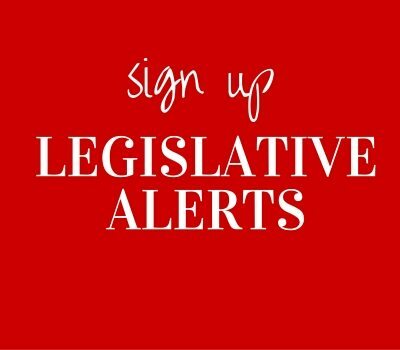 We make it easy to identify and contact your legislators via email and/or social media. Together, we can advocate for policies that invest in children and support their future. Last week, the Senate passed their preK-12 education budget with a $1.1 billion increase over the current fiscal year budget, including a per-student funding increase of $350 (to $7,778.79). The House also passed their vastly lower preK-12 education budget with a per-student funding increase of only $167.79 (to $7,596.58). Please note: both of these per student amounts are artificially high because they have included the controversial Best and Brightest teacher bonus as a part of their per-pupil calculation. (In past years, they did not include the bonus money in the per pupil amount.) As a result, the House per-pupil funding increase is based almost entirely on this accounting shift of bonus money. Florida’s children deserve better. We currently fund schools at pre-recession levels. Take action today and urge your senator and representative to invest in public schools and increase funding for Florida’s students. The legislature has proposed another voucher program to strip funds from public schools (Senate Bill 7070/House Bill 7075). This bill diverts our precious tax dollars to private schools with no public oversight or accountability. This proposed legislation uses property taxes to fund vouchers to privately owned schools for families meeting certain income levels. We, the public, have no idea who owns these schools, what they are teaching or how well the students are learning. This bill drains more than $200 million in the first year alone from public education funds and sends them to directly to private hands. Tell your elected senator and representative that Florida students and taxpayers deserve better than this. Bills to arm classroom teachers are up for floor votes in both the Senate and the House. This controversial plan expands legislation that was passed last year after the tragedy at Parkland and allows teachers to carry firearms in the classroom. Many school boards have already voted to prohibit the arming of classroom teachers and have instead opted for meaningful security measures to keep students safe. Tell your elected officials to invest in professional, highly trained law enforcement officers to protect our students.